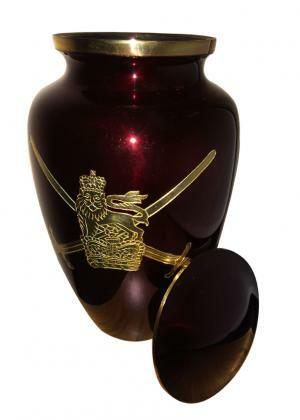 Get Discount on Large UK Military Symbol Maroon Adult Funeral Urn for Ashes. 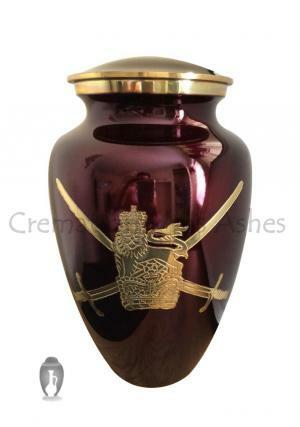 The military symbol maroon cremation urn is suitable for holding the cremation ashes of military people who expired. This legend elegant adult cremation urn is used as memorial urn to keep their memories alive with you. This graceful and refined urn is handmade large funeral urn with high quality solid brass material. 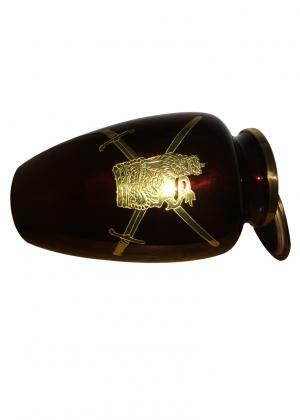 The urns for ashes are hand designed by top profession skilled artisans. Fill the human ashes through top of the lid and keep it at safety place, it may be any corner of the home or in glass showcase area. It will help you to fulfill promises. You can use this daisy large size urn as decorative item also. 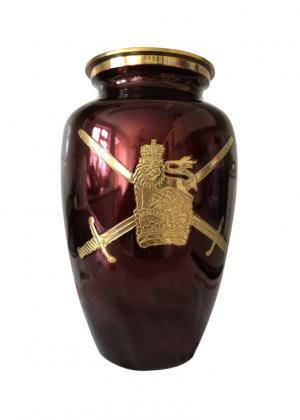 This beautiful and unique mainly brass urn is finishing with british army flag on maroon color brass urn. It is available with the dimensions of Height:10", Diameter:20", Base-Width:4", Cap Width:5" inches and weight is 2.1 Kg. 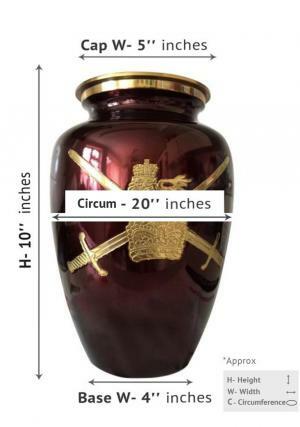 Buy online this adult urn and get free delivery within United Kingdom.